Road riding in the canyons, parks, and bike paths. Cycling keeps me healthy while experiencing the wonders of nature. Supporting the work of Bike Utah, talking with my local community about creating bike friendly streets. Creating safe and interesting places for people to ride, educating kids. It brings me joy while challenging me. It’s a simple tool to solve complex problems like climate change, poor air quality, traffic congestion and community health. As an active transportation planner, I make biking and walking easier. I try to lead by example and ride as much as I can. Cool new bike facility design in new places! I love to see creative infrastructure. I did a bike tour in the Netherlands on a single-speed, logging hundreds of miles on one gear! It’s a physically healthy activity and mentally therapeutic. My work with Bike Utah along with contributing time and money to trail building efforts. What aspect of bicycling excites you most? Seeing people get out and enjoy the outdoors and nature that surrounds them. What was biggest cycling adventure? I have ridden the White Rim in Canyonlands several times. It is a self-supported multi-day ride that always includes good friends. I like it all. I grew up in Park City riding downhill, and started riding other styles over the years. Bicycling is a solution to so many of life’s problems. Restless? Ride a bike. Out of shape? Ride a bike. Hate traffic? Ride a bike! The endless possibilities. Bicycling is a huge part of the culture here in Utah, yet we’ve only scratched the surface of the potential. Green gatorskin-graphic 16 in. mountain bike from when I was 4-5. Learning to ride trails in northern Idaho is one of my favorite memories. Hurricane/ Virgin. There are endless epic trails to be had. Road biking in the Wasatch canyons. It is an amazing way to recreate, and is a great form of active transportation. My commute to work is healthy for me and the air quality. Biking is an outstanding tool to help my kids gain personal confidence. I oversee the Utah Outdoor Recreation Grant, a statewide grant dedicated to creating recreation infrastructure—much of which goes to bike-related trails and parks. I truly enjoy long rides with good friends. FR640 from I-70 to Fish Lake. The road was just repaved and climbs about 6,000 feet. Heart rate up. Exploration. Mind clearing. Neuron Firing. Beauty. Nature. Freedom on two wheels. Working to support the Governor's 1,000 miles Campaign - family friendly trails, pathways and bike lanes. Expanding the Youth B.E.S.T. program to get kids riding safely. Advocating to State leaders in support of bicycle friendly laws, policies and programs. Destination cycling. Seeing new geography and experiencing cultures around the world on a bike. Some of the best bike scenery is right here in Utah! On summer Sunday mornings at dawn it's road bike. Otherwise it's MTB except or riding the commuting cross bike to work. I experience more of the natural environment than walking/running. I love the exhilaration of speed and two-wheeled dancing on technical singletrack. Building non-motorized trails and promoting on-road bicycle facilities in the greater Weber County area for my day job, and supporting such developments statewide. The resurgence of bicycle use in the US. And, the development of utility e-bikes. All the ones that fit, are tuned and have air in the tires. I can jump on and go with a smile on my face. Riding tandem with my wife. We have ridden together for a decade and have ridden thousands of miles together. It is a great way to get good exercise without hammering my body. I can get a great workout without sacrificing my knees. Educating people about the benefits of riding, especially those who are my age and want to participate in a low-impact activity. I just love to go out riding with my wife and/or friends on a beautiful day and enjoy incredible scenery and the health benefits. The Wasatch canyons and along many of Utah’s wonderful trails. The Murdock Canal trail has become one of our favorites. Keeps me outside and fit. 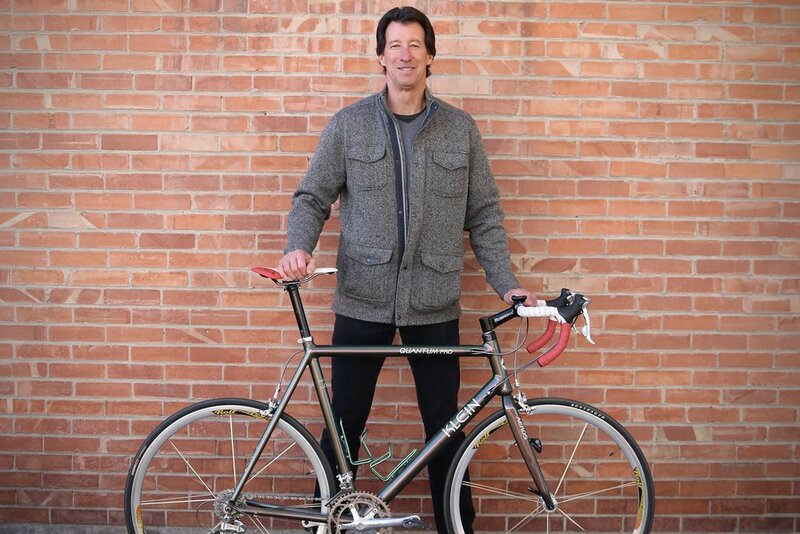 Supporting the great programs of Bike Utah! Bridgestone RB2; its chromoly frame is indestructible! I enjoy road or mountain riding equally. It gives me a sense of freedom in the outdoors. Improving infrastructure and providing information to make it more accessible and enjoyable. Seeing kids learn how much freedom and pleasure bicycling can give them. 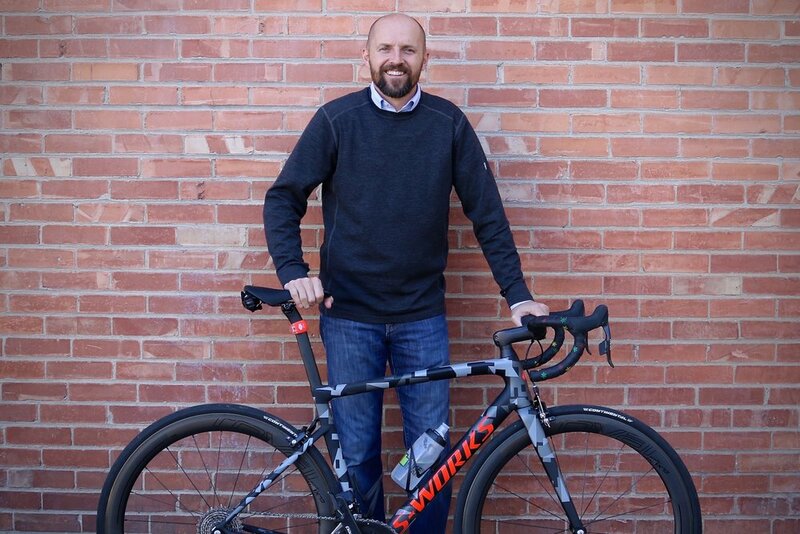 Cycling has provided me with a career, lifelong friendships, family connections, fun & more fun, stress relief, and access to Utah’s most beautiful places. By raising awareness of the benefits cycling brings to our communities and environment. 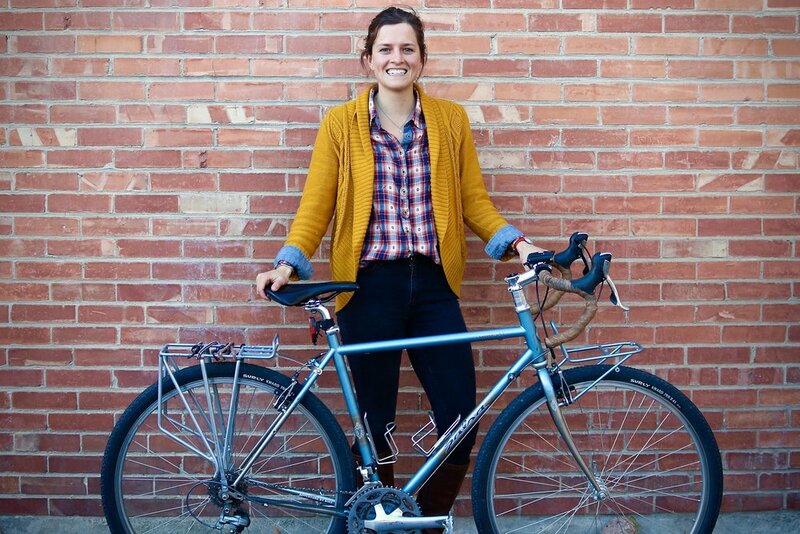 Connecting cycling as recreation to cycling as a way to improve Utah’s communities and environment.